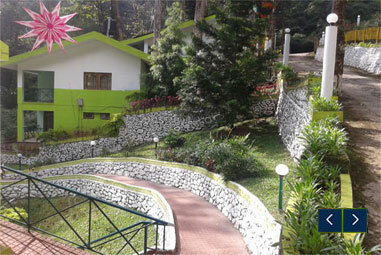 Ayurveda - Woodpecker Holidays, Pothamedu, Munnar - Operated By Group Farming Corporation India Ltd. This is a special technique of stress releasing treatment, available only in Shanthivanam Ayurveda. By this method, we are providing special internal medicines and external Panchakarma Therapy for four days. This program includes abhyangam, shirodhara etc. Such highly effective but simple and traditional medications will help you to roll away all your anxieties, sleeplessness,(insomnia) ,fear and can make you so relaxed and tension free.This treatment will keep your mind and body healthy and accelerate your memory power too. The duration of this treatment is 7 to 8 days and this program includes Panchakarma Therapies like Kadibasthi, Abhyangam etc, with special Ayurvedic preparations. At this point, doctor’s consultation will be free and treatment may vary according to the physical condition and previous medical reports. We are providing back pain treatment with the help of highly experienced Therapists who have undergone advanced training and are specialized in disc problems and vertebral issues. Another area of our advanced treatment is providing Ayurvedic solution to migraine and chronic headaches. 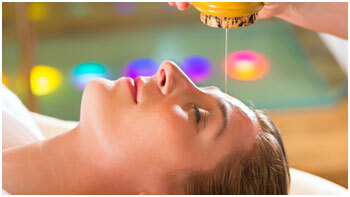 The treatment includes Panchakarma along with ‘nasya’ (nasal drops) with the support of ayurvedic decoctions and oils. The therapy will last for a maximum of 5 days and will help you to take away all sorts of impurities and remove dirty dry sputum ensuring complete freedom from chronic headache. It will further improve your eyesight, ensure clarity of vision and enhance the power of all sensational organs. Ayurveda which is literally means the science of life (Ayur = Life, Veda = Science). Take pleasure in the breathtakingly beautiful landscape. Rejuvenate your body and soul with Ayurvedic therapy. The resort offers a number of Ayurveda Panchakarma and Rasayana packages for it's customers. All the treatments are prescribed by expert Ayurvedic Doctors at the resort and carried out under proper supervision. Ayurveda, the science of life and longevity has a history as long as human civilization and even beyond. Ayurveda was perfected by astute minds and adept hands and aimed at the physical, mental and spiritual well being of human beings. Ayurveda is one of the great gifts of the sages of ancient India to mankind and accepted as the oldest scientific medical system, with a long record of clinical experience. Ayurveda is the original contribution of India (Bharatha) to the world and treats man as a whole - which is a combination of body and soul. Ayurvedic Massage - A systematic and scientific manipulation of body tissue performed with hands for the therapeutic effect on the nervous and mascular system through systematic circulation massage has an overall effect on the immune system of the body and helps to maintain optimum health. Soothes and enables the nerves and muscles to function properly. Increase circulation of the blood and lymph so that waste materials such as perspiration, Urine and excreta are properly eliminated. Strengthens the lungs, intestines and other vital organs for proper functioning. Reduces obesity, increases stamina and provides good sleep. Medicated Steam Bath - Medicated steam bath eliminates impurities from the body, improves the tone and complexion of the skin reduce fat and is recommended for certain rheumatic diseases, particularly for pain. Precious herbs and herbal leaves are boiled and the steam is passed over the entire body for 20 minutes.